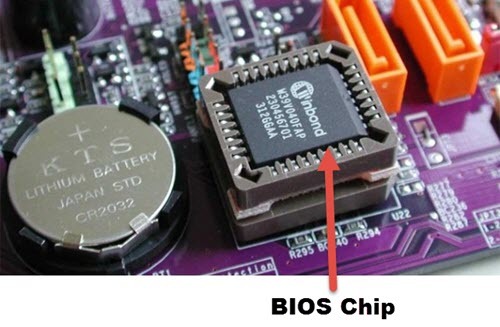 Basic Input/Output System or commonly known as BIOS is a program or firmware that initializes all the connected hardware components in your PC and starts boot process for loading the operating system. When you power on your computer then the first program to load is BIOS that checks or test whether all the connected components i.e. CPU, RAM, Hard disk, Graphics Card and Input/Output devices are OK and then it proceed further to load boot loader so that the operation system can start on your computer. Earlier BIOS was stored in ROM (Read Only Memory) so that it cannot be altered by any malicious program or viruses, but now it is stored in flash memory so that it can be updated without having it to remove physically from the motherboard. The process of updating or loading a new BIOS program is known as Flashing of BIOS. Flashing of BIOS is a risky process because if something wrong happens then you can brick your computer. But now there are very easy and safe methods available by which you can flash your computer BIOS with minimum risk involved. It is generally not recommended to update your BIOS if you are not facing any major issues with your PC. So here in this post I will list down some cases where you may want to update to BIOS to a newer one. Here are some cases which may force you to update your PC BIOS. If you have bought a new CPU or Processor model then it may be possible that it is not being detected by your BIOS, and your PC is stuck on the BIOS screen itself. In this situation you have to upgrade you BIOS version to the latest one for the support for new Processors. Before updating the BIOS you must consult your motherboard manufacturer’s website for information regarding CPU support list in the latest version of BIOS. Sometimes your new graphics card is having trouble detected by your motherboard. So in this case you may want to upgrade BIOS to the latest version. Consult your motherboard manual before upgrading your BIOS for information on support for your new graphics card. If your PC or OS hangs or freezes for no reason then it may be possible it is having problem with your current BIOS. Incorrect voltage issues may be present with your current BIOS so in this case you must have to upgrade your old BIOS to the latest version. Sometimes for new and better features you can upgrade your BIOS to the latest one. These features can be related to the support for newer devices or addition of some new advanced settings in the BIOS. Sometimes to support or to achieve greater level of overclocking and stability you have to upgrade your BIOS to the latest one. It may be possible that the newer version of BIOS supports better overclocking with more stability. Incorrect temperature reporting in BIOS can be another reason for BIOS update. Sometimes BIOS may report incorrect temperature of your CPU and chasis which can be fixed by BIOS upgrade. Note: Flashing or Updating BIOS is still a risky process and you should be very clear about the updating procedure and make sure that there should not be any break in electricity or fluctuation in voltage when you are updating your BIOS. When to change your BIOS battery? I got .ROM file from zebronics website for my motherboard zebronics nf-7050 .how to use this file to update bios? There should be instructions on zebronics website or in your motherboard manual, as the procedure is different for different motherboards. Usually it is done through BIOS only using the motherboard’s in-built Flash utility. for laptop it is easy update bios through .exe.i searched manual and website i can’t find anything.updating bios on desktop has some risk .please can you look on it and provide me steps? please tell me your motherboard model again. OK i will look to it. As i told earlier i got only .rom file from zebronics website. Should i proceed?Is it safe method to go ? 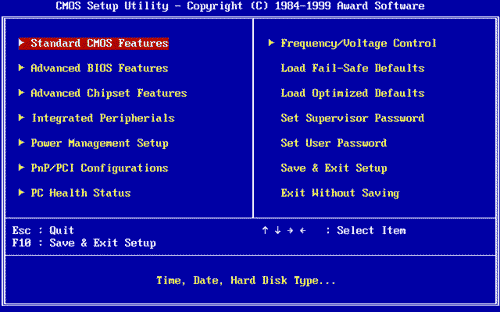 Go to your BIOS settings and see if it has any Easy update BIOS utility or feature. i checked already. nothing like that. Then it is a bit risky to update the BIOS without having any proper information on your motherboard BIOS. Is there anyway to backup my bios before updating? Only Dual BIOS motherboards have the facility to restore corrupted BIOS i don’t think it can be done on your motherboard because it is very old and that too from Zebronics brand.